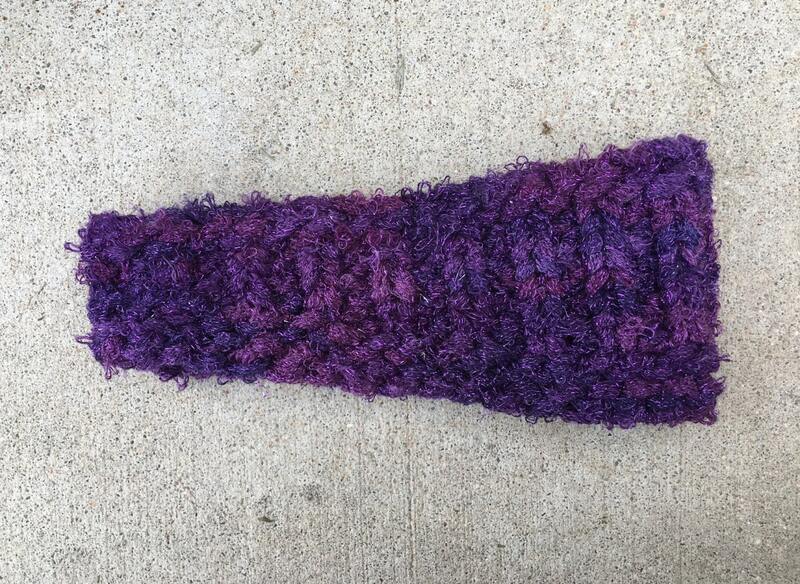 If you’re like me, you have lots of Sashay yarn left over from the ruffle scarf craze. 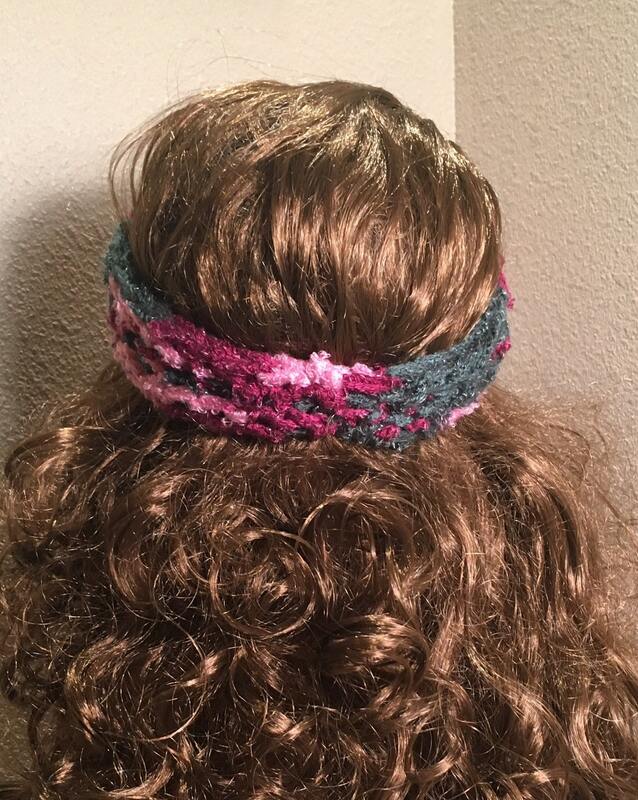 But what can we do with all that ruffle yarn when we refuse to make one more ruffle scarf??? 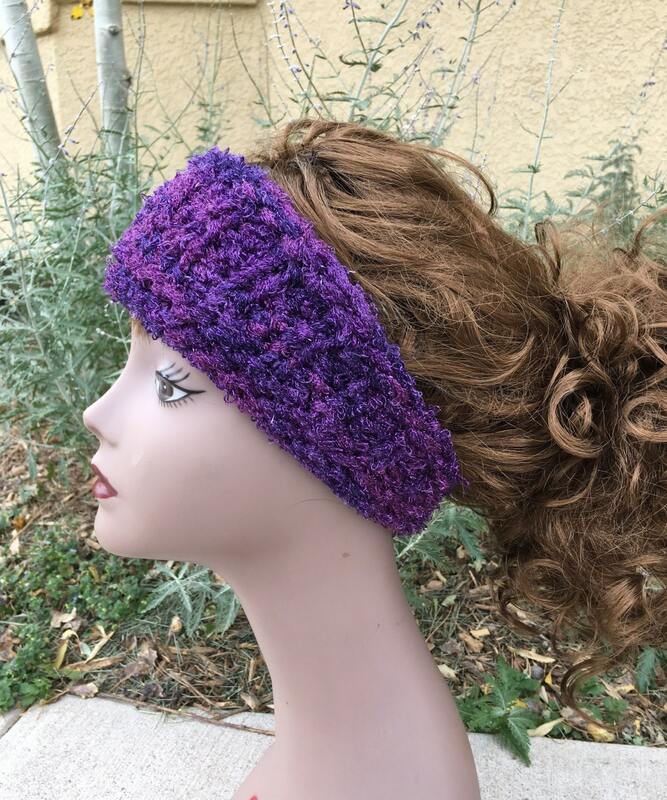 The Sashay Headband is knit on the 3/4” gauge Knifty Knitter green 36-peg round loom and uses 30 yards of Sashay yarn. 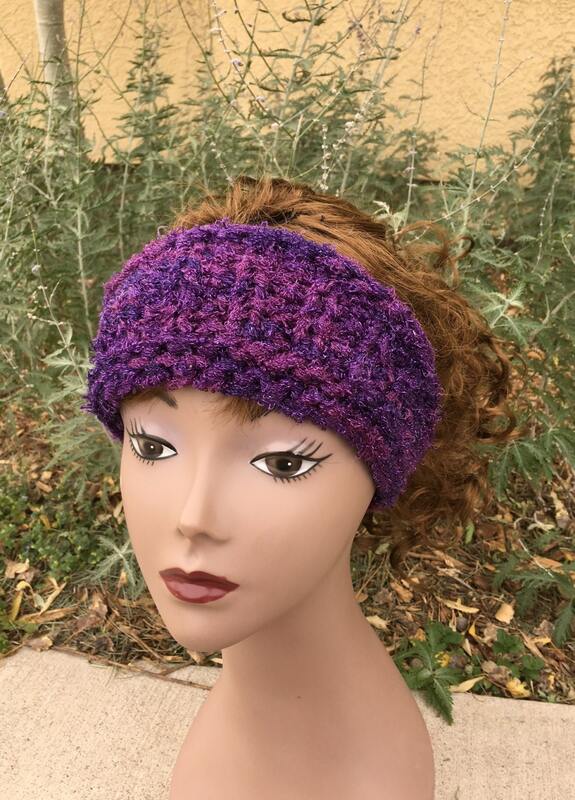 The headband knits up to 17” in circumference, stretching to 26”. 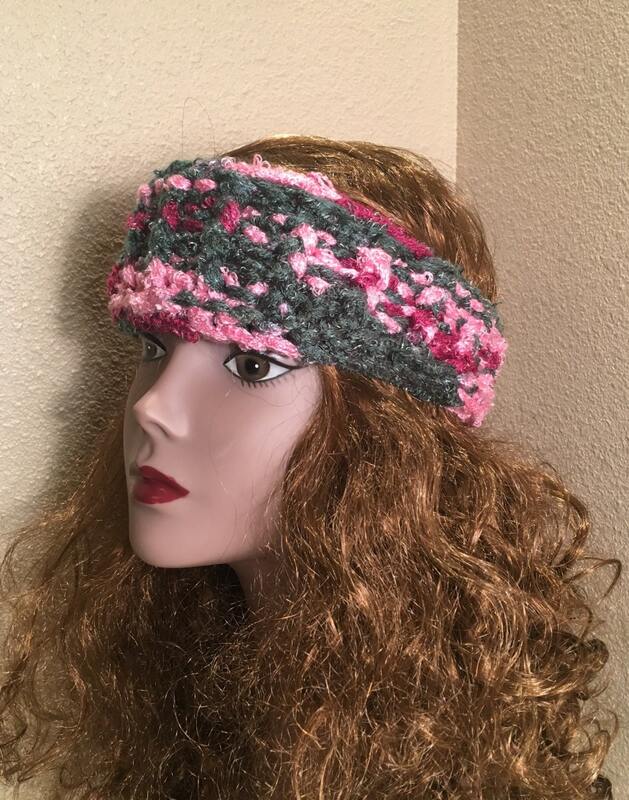 The pattern uses only e-wrap knit and purl stitches, but utilizes short row techniques. As such though not difficult, this pattern is suitable for a confident, advanced beginner loom knitter.